Anyone who knows me is well aware that I am not a fan of Black Friday shopping. In fact, I’m not a fan of shopping, no matter the day. However, with the holidays coming up, it’s impossible to avoid the subject. Especially if you write about finances. In fact, even someone who rarely writes about penny pinching — and certainly doesn’t do much of it in her own life — can’t escape the requirement to write about saving money by getting the best deals on holiday shopping. If you are looking for a little help this year, Dave Heinzinger from inMarket suggests three cool apps that can help you accomplish your holiday shopping with ease — and with savings. Even better? All these apps are free. If you want to find the best deals, Heinzinger suggests Extra! Extra!. This app is available for Android and iOS and aggregates deals from thousands of web sites and retailers. You can see where the deals are without going through the effort of clipping coupons (which is something I hate). See where the deals are, and then use your smart phone to redeem them. You know that you can use web sites like ebates to earn cash back and gift cards. Now, you can take your points-earning ability offline with CheckPoints. Heinzinger points out that you can use this app (which is for iPhone and Android phones) at more than two million retail locations in the United States. You don’t even have to buy anything to earn points. All you have to do is check in at certain locations and scan certain products. Of course, you can decide to buy — if you can get a good deal. You earn points for checking in and scanning, and those points can then be redeemed for gift cards from major retailers, including Starbucks, Amazon, Shell, and more. While you are completing your holiday shopping, you can avoid duplicate gifts with the help of List Ease. Heinzinger says that you can share items with others so you that you coordinate your shopping efforts. But this app for iOS and Android isn’t just for holiday shopping. You can use it to create a shopping list ahead of time, and it will categorize items so that similar items are next to each other — and so that you don’t end up all over the store. On top of that, you can use it as a budget tracker if you are trying to stick to specific plan. That way, you can keep up with how much you’ve spent, and how much you have left. You can make your shopping more efficient and cheaper, and even speed things up by syncing your list with a co-shopper. With these three apps, you should be pretty well covered when it comes to creating, managing, and completing your holiday shopping list. What do you think? 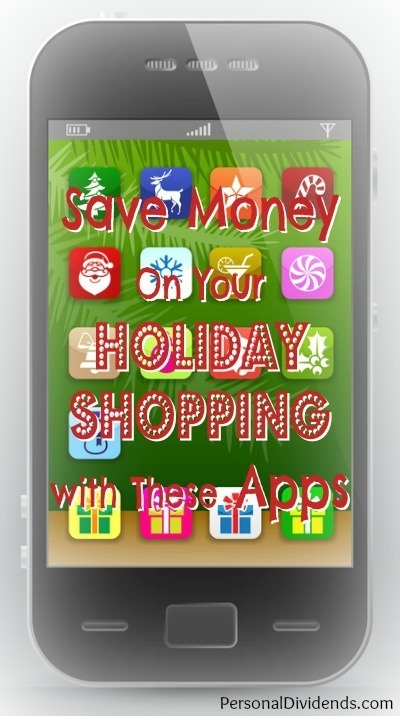 Do you have apps that you use to help you better organize your holiday shopping? Or even your “normal” shopping?